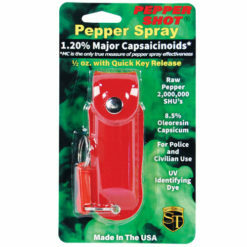 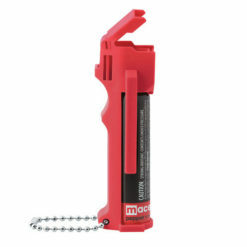 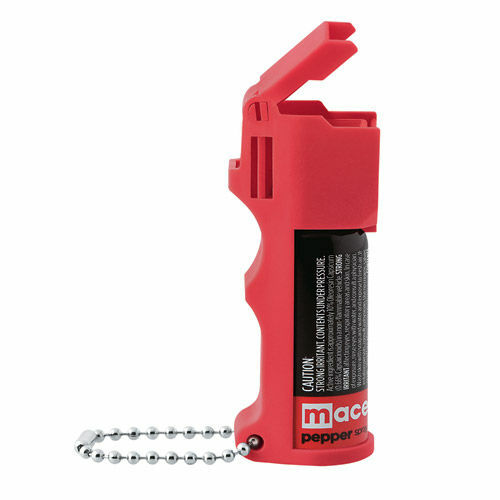 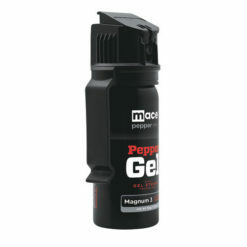 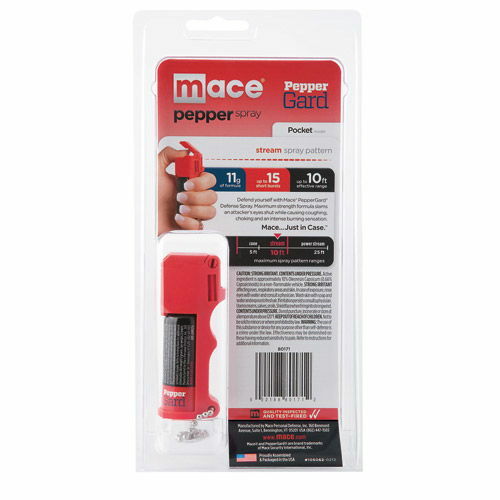 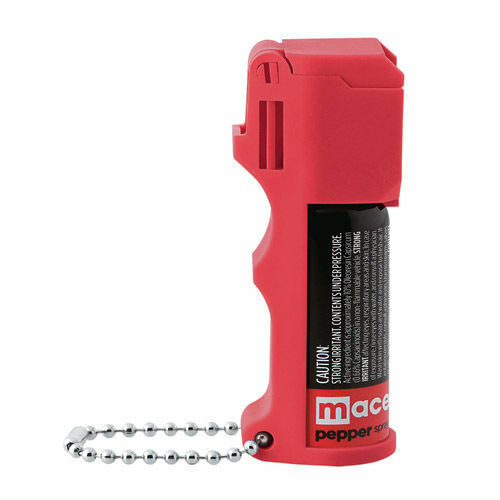 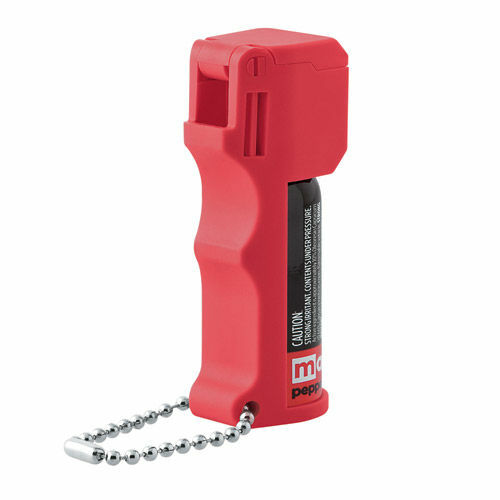 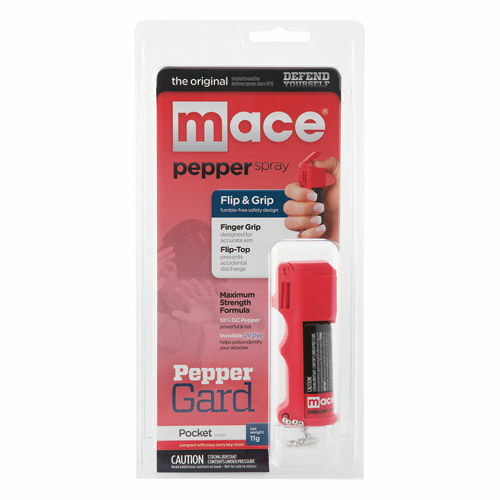 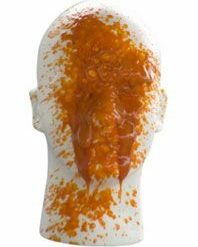 The easy aim fingergrip feature makes the Mace® 10% PepperGard® Pocket ideal for emergency use and a great choice for women self defense. 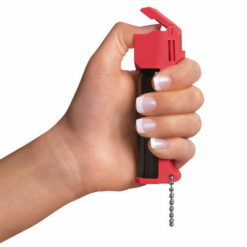 Compact design fits comfortably in a woman’s hand. 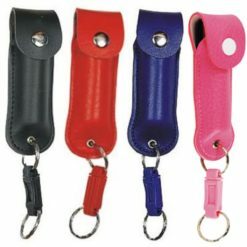 Features flip-top safety cap and key chain. 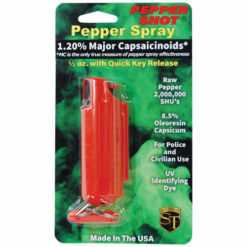 11 gram stream unit sprays 6-12 feet. 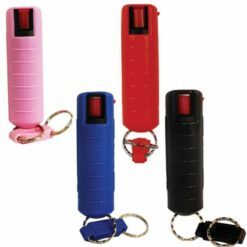 Key chain included. 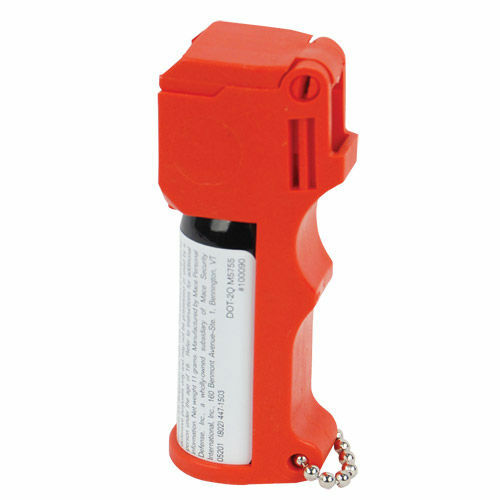 Contains 5, one second bursts.